A local favorite for decades, the Shelter Insurance Gardens are a must-see on your next visit to Columbia. A beautiful oasis in the bustle of Columbia, Shelter Gardens is an unexpected haven for locals and visitors. Open year-round with the exception of Christmas day, Shelter Gardens is free and open to the public from 8:00 a.m. until dusk. 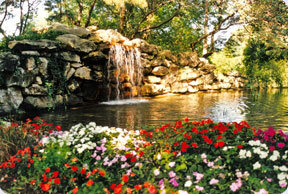 The three acre spot is home to over 300 varieties of trees and 15,000 annuals and perennials. 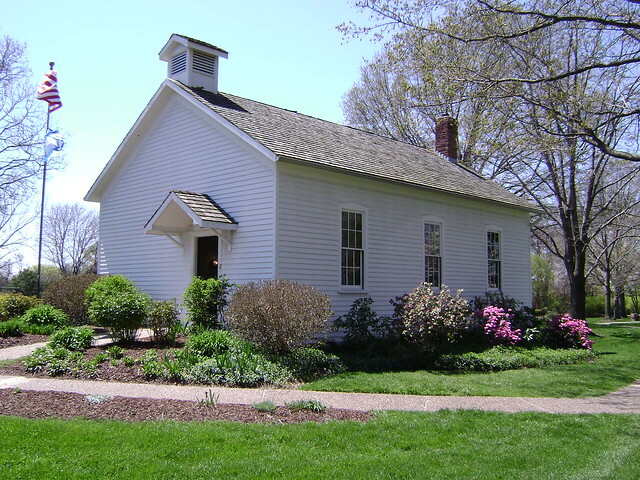 Other unique features include a garden for the blind full of scented vegetation, a rock garden, a beautiful waterfall and a replica 19th century one room schoolhouse. On select Sunday evenings in the Summer, guests can enjoy free concerts in the park. Bring your picnic blanket or lawn chair and listen to local musical acts ranging from jazz to polka at the garden’s gazebo. Shelter Gardens is a beautiful escape from the hustle of the everyday. So grab a book and a picnic and spend a tranquil afternoon in this Uniquely Columbia setting. Dance in the Street at Summerfest! If you’re looking to have a true Columbia experience, be sure to schedule your visit during a 9th Street Summerfest. Every summer, The Blue Note closes down the street outside their venue (9th Street between Walnut and Broadway) for spectacular nights of music. Everyone from Wilco to Snoop Dogg have been a part of Summerfest and this year’s lineup is equally outstanding. A former biomedical engineer, Pittsburgh artist Gregg Gillis (aka Girl Talk) has scrupulously created music from samples for over eight years. His fourth album, Feed the Animals, continues his sonic evolution towards his party-infested live show. Shows are nonstop hours of music, dancing and sweat. Tickets are only $25. Come see one of the world’s best female guitarists in the FREE Summerfest show! With a new album coming out in August, expect new and old favorites from this incredible artist. No ticket hassle for this show…just come out and enjoy! Formed over 17 years ago, Cracker returns to Columbia for a FREE Summerfest show! Soak in their sharp-witted songs influenced by late 70s and early 80s sounds with a pop-punk aesthetic. No matter which Summerfest you attend (Just go to all of them! ), you’ll find a group of enthusiastic show goers sipping beer, spending time with friends and dancing in the street in downtown Columbia. It will give you a taste of what summer in Columbia feels like.